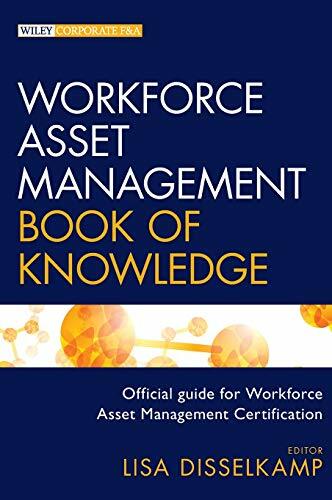 [PDF] Workforce Asset Management Book of Knowledge | Free eBooks Download - EBOOKEE! Description: The official study guide for the Workforce Management Technology Certification, containing core knowledge for time and labor management The worldwide standard for the time and labor management technology profession, Workforce Asset Management Book of Knowledge is the official guide to the Workforce Asset Management Certification. Establishing a common lexicon within the profession for talking about workforce management and systems, this essential guide is designed to establish a body of generally accepted and applicable practices and standards within the industry. Includes contributions from leaders in the field Covers everything from vendor and product selection, to implementation planning and execution, system design, testing and change control, financial analytics, fundamentals of scheduling people against workload and skill sets, and how to use these systems to manage labor costs and productivity Body of knowledge is focused on workers and technologies for every industry and every type of employer Designed around timekeeping and labor scheduling technologies With contributions from leaders in the field, this book expertly covers the knowledge, practices, regulations, and technologies within the domain of workforce management systems. It provides the body of knowledge for managing a workforce using time and attendance systems, labor scheduling, productivity, staffing budgets, workforce software applications, or data, compensation and benefits for payroll and human resources. No comments for "[PDF] Workforce Asset Management Book of Knowledge".